We continue to look at the sweet new summer offers and today we take a closer look at Real Madrid's home shirt for the 12/13 season. So if you are a fan of the king club, then we definitely recommend taking a closer look here. Few clubs can boast the same history, tradition and glory as Real Madrid. It is definitely no coincidence they have been dubbed the king club and there is a sense of regal honour and pride around the club. This is something the unique logo, which adorns their chest, since it was presented to them by the king of Spain, definitely also reflects. And if you are a fan of the king club, then you can with the clubs home shirt for 12/13 proudly wear the logo, both on and off the pitch. So you can show the world exactly where your loyalties lie, in the big Spanish rivalry, between Barcelona and Real Madrid. 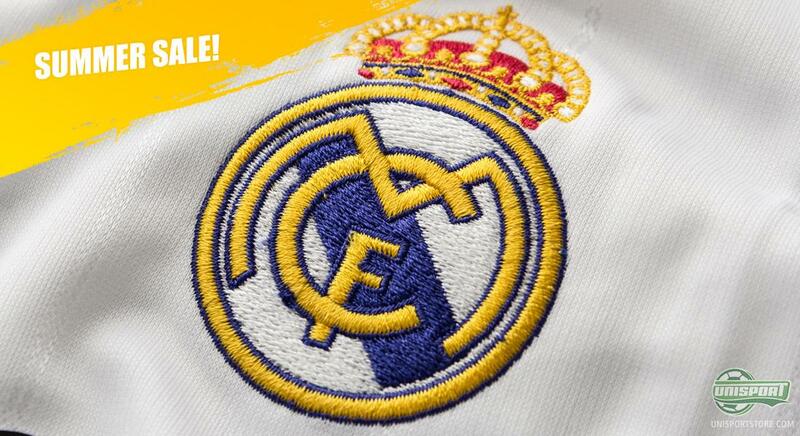 If you want to don Real Madrids white colours, then you can get the shirt here  right now you save 50%. It is no small handful of superstars players, who have through the years worn Real Madrid's classic and stylish white kits. Among them we find stars like Michael Laudrup, Ronaldo, Cristiano Ronaldo, Zidane and David Beckham, who have all had a massive impact on the world of football, while wearing The Galacticos kit. The shirt is kept completely classy and elegant, with the dominant white colour only broken by the iconic Adidas stripes in dark blue. It is a look that will never go off fashion, even though Real Madrid already have unveiled their new shirt for the coming season. 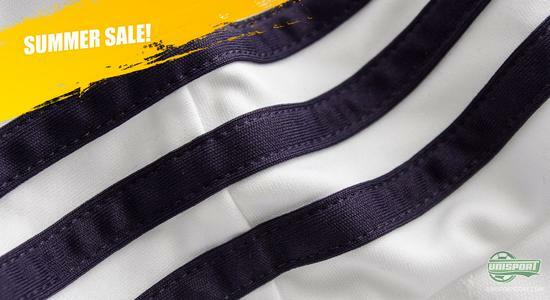 And this shirt, which was used last season, will have a very significant role in their long and rich history. The shirt was used in the clubs 110th anniversary season and this has been marked with a unique logo on the sleeve. 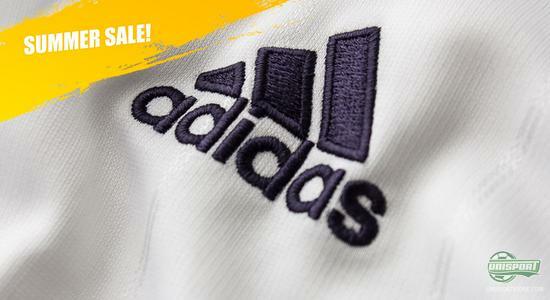 If you want to don Real Madrids colours, then you can get the shirt here  right now you save 50%. The shirt is made from Adidas nice Climacool material, which is designed to keep the body at a constantly comfortable temperature. It does so by transporting sweat away from the body and out to the quick drying outer layers of the shirt, which dry incredibly quick. 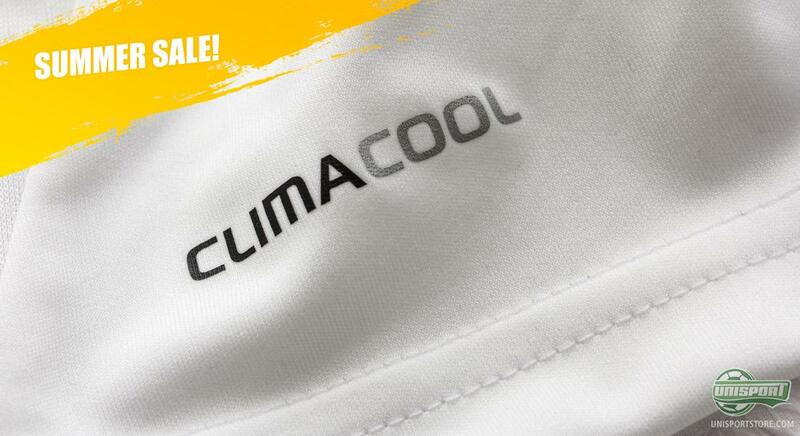 You are then ensured a shirt that doesn't only look good, but also is super comfortable to wear. 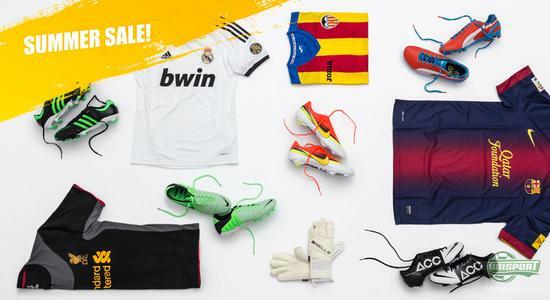 If you want to get your hands on this summer's many offers you can click right here. You can also explore the hundreds of good offers, which we have on the site here. As promised we continue to focus on some of the awesome summer offers, which we have on our site and today we had Real Madrids home shirt for 12/13. 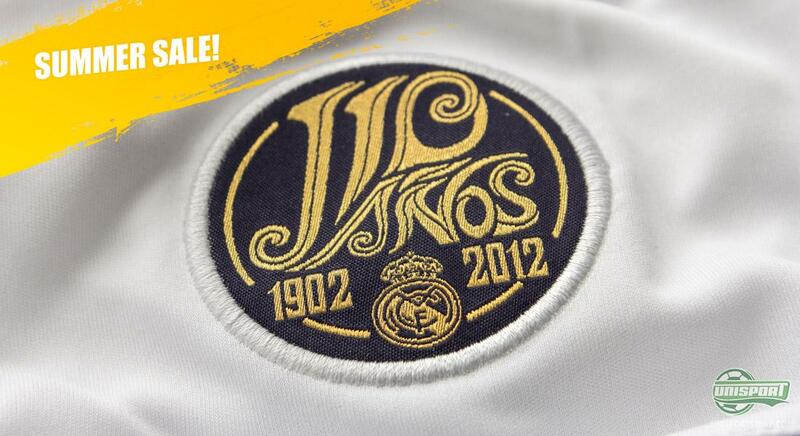 Could you see yourself honouring Real Madrid's 110th anniversary with this elegant shirt? And do you think Real Madrid can leapfrog Barcelona in the coming season? As always we would love to hear your thoughts in the comment-section down below, or on Facebook and Twitter.